The Session Studio Classic drums offer a lot of impressive features for this price category. With many professional functions, high quality shells and hardware, they are the perfect instruments for ambitious, advanced drummers. Excellent mix of woods with a full sound! The Session Studio Classic shells feature the proven, classic "Session recipe" by Pearl, a mixture of birch and kapur. The result is a drumkit with full attack and punch that will impress every sound engineer. The secret of the balanced sound lies in the core of the shell. It consists of the very hard wood kapur which is known for its warmth and punch. The core is wrapped with birch and the combination of the two materials results in a very nice frequency mix. The precise 45° bearing edge guarantees perfect head to shell contact and nice tuneability. The shells feature a very nice and high quality lacquer which is usually reserved for the much more expensive Masters, Reference and Masterworks series. 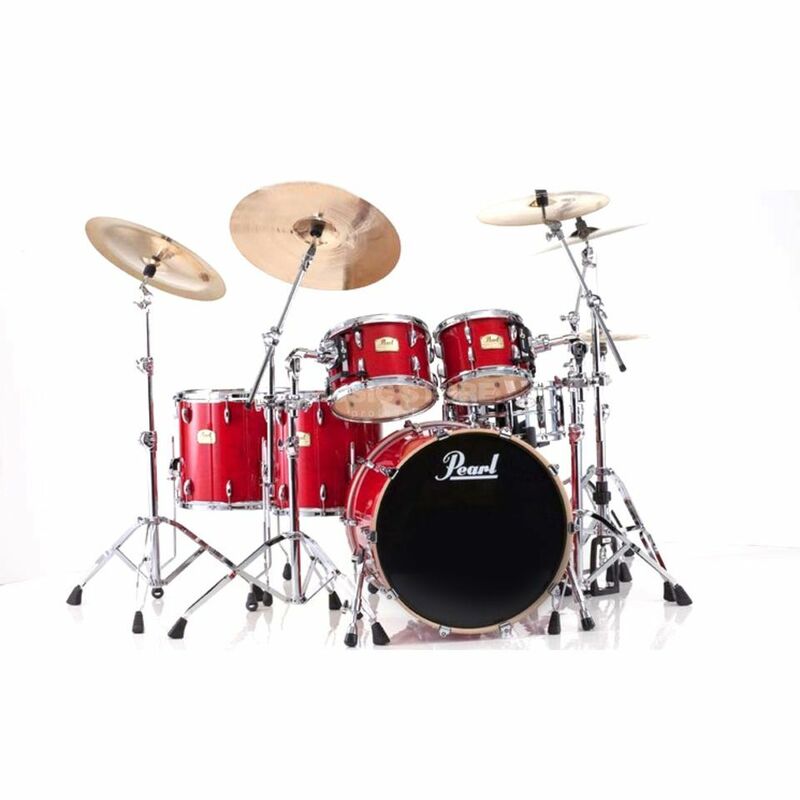 Beginners and advanced drummers will absolutely love the Session Studio Classic sets because they are professional instruments that meet the highest demands. The picture shows a set example! Cymbals and hardware are NOT included! Size floor tom 1: 16" x 14"